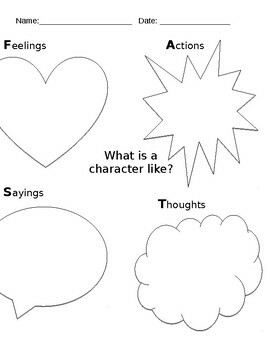 This product is a worksheet to help students describe characters. The students must think about how the character feels, their actions, what they say and think to help describe what a character is like. The acronym is FAST (feelings, actions, sayings, thoughts). This document is a .docx and is editable.